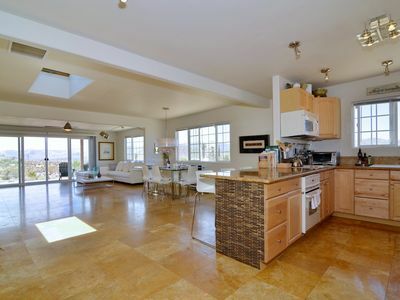 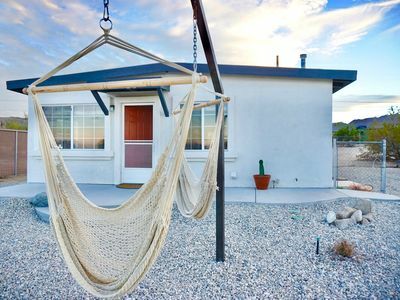 The Desert Lotus House is a cozy home located in a quiet neighborhood overlooking the expansive vistas of Joshua Tree. 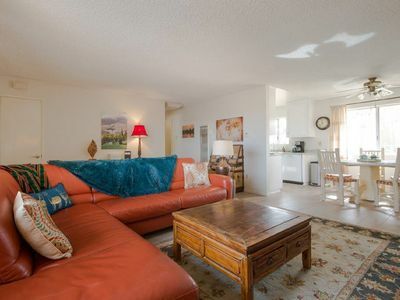 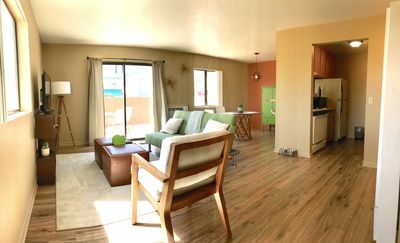 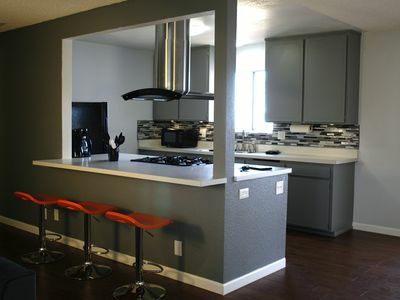 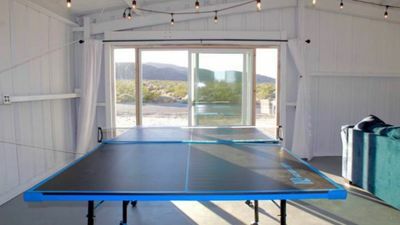 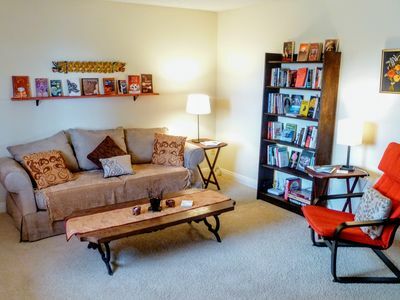 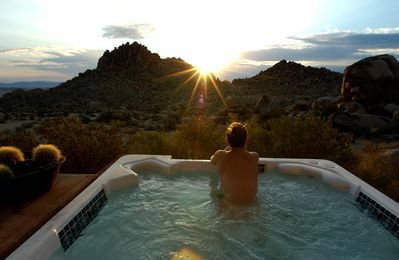 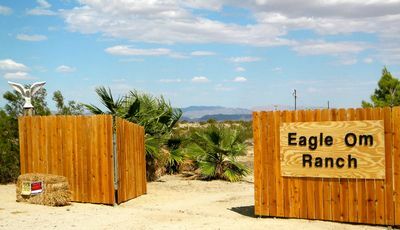 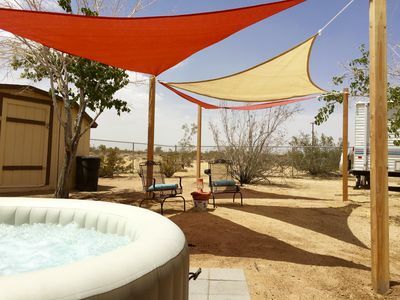 This two bedroom and one bath house is ideal for 2 to 4 people who want a peaceful, quiet, yet convenient place to get away or as a base for exploring the wonders of Joshua Tree National Park or attending one of the many festivals in the area. 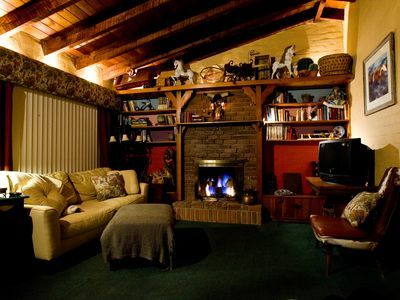 It is great for one or two writers, artists, or anyone who wants a retreat from the demands of daily life. 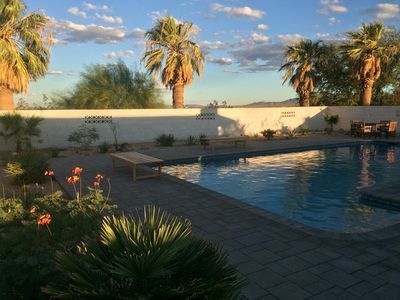 Highdesert Homestead: a Peaceful Sanctuary of Rustic Elegance. 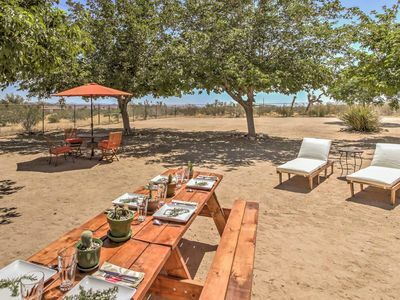 Sahara Madre - Bohemian Desert Chic - Secluded, WiFi, BBQ, VIEWS!! 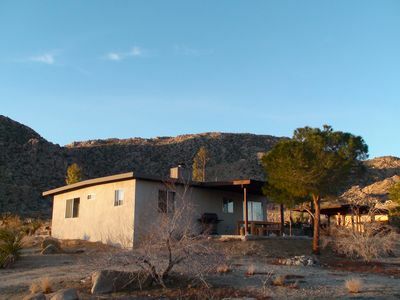 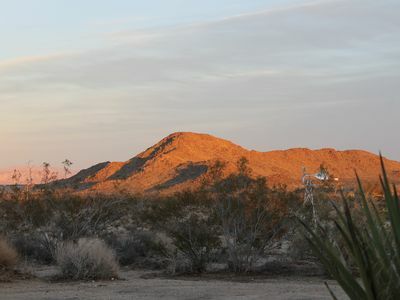 M&L Desert Cottage - 3 miles from the North entrance of Joshua Tree!